5 on Friday & Giveaway Fun! We've been bouncing around right and left the past few weeks, so I feel like I would play a little catch up around here with some Five on Friday randomness! If you read last week's post, then you know we are currently in Colorado. The scenery out here is incredible!! We are currently at an RV park near Mesa Verde National Park. Unfortunately, the cell service out here can be hit or miss. Since we work on the road we have had to be very careful about where we stay. We found a park that claimed to have decent cell reception and wifi; however, that ended up not being the case and we had to quickly move parks. Our current view is a car wash, so while it isn't a winning view, we are at least able to work (which keeps gas in the truck, so ultimately I guess it is a win). We are going back into the national park this morning to do a tour of the cliff dwellings and we are pretty pumped!! We will share more about Mesa Verde NP soon, but for now our number one tip would be to make sure you plan at least two days if you are going to visit. The tour tickets for the day can run out really early. We were in the park by 11 on Wednesday (during off-season) and there were no tickets left. Thankfully we were staying, but there were others who were pretty bummed because they were only there for the day. You can still see the cliff dwellings without a tour ticket, but you can only go into them with a ticket and guide (cost is $5 per person). Happy Travel Tuesday Wednesday Y'all!! It's time for another link up... a day late! 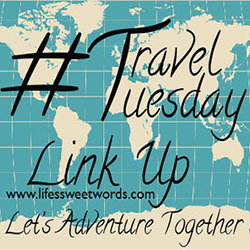 I'm beginning to think I should call this link up #WanderlustWednesday, but either way, you know the drill... add any travel related post to the blue "add your link" button at the bottom! 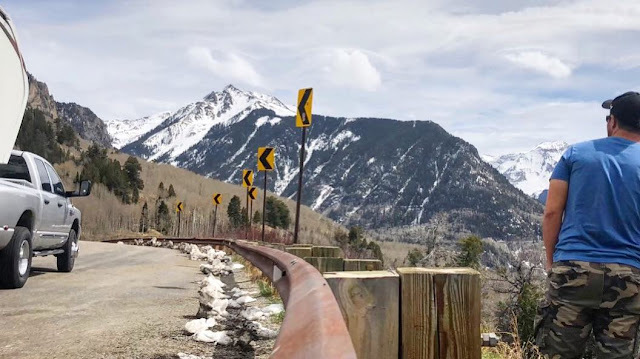 This was the first time driving hauling Delilah the Dream Machine up really high inclines, so we were very grateful that it's pretty easy to get into Steamboat from I-70! 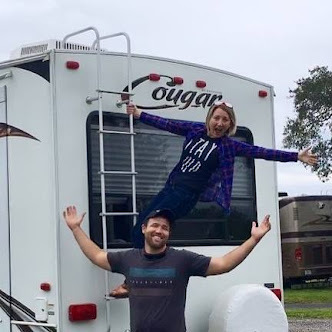 The resort was also so gracious and allowed us to park in their lot overnight, when we found out we wouldn't be able to stay at the state park we were planning on. This is not customary and probably won't work during busy season, but it never hurts to call and ask. We pulled into their overflow late after the runs were closed on Sunday, were able to walk to the gondola that took us to the top of the mountain to ski Monday, and we're gone once the slopes closed at the end of the day.